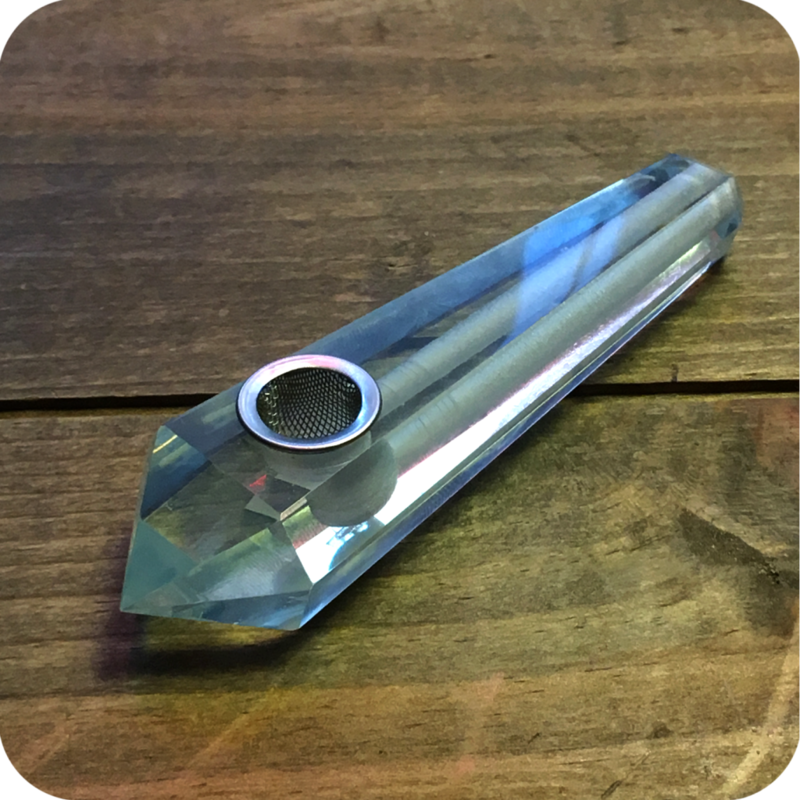 Ideal for meditation, the Opalite Crystal Pipe is the perfect smoking accessory to chill you out and remove energy blockages. Opalite is a such a beneficial crystal. 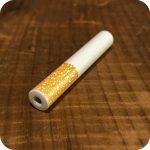 It can improve communication on all levels, especially during times of transition. It does so by giving strength in verbalizing hidden or difficult feelings. 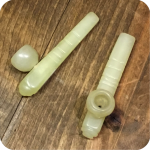 Additionally, opalite enhances sexual experience and stabilizes mood swings. It also can greatly improve self esteem and self worth leading to a more aware and direct individual. 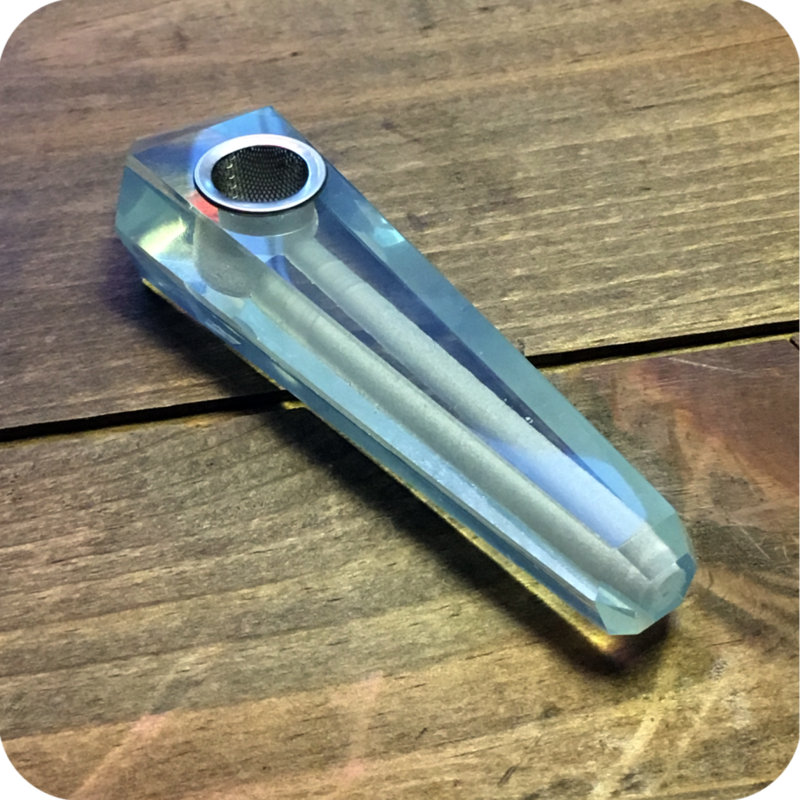 Keep the opalite crystal pipe with you when transitioning to a new home, job, or relationship and it will help equalize the experience. 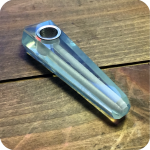 As a pipe, this piece is extremely easy to use and maintain. Just pack the bowl with your favorite legal herbs, light it up and inhale! No carburetor required! 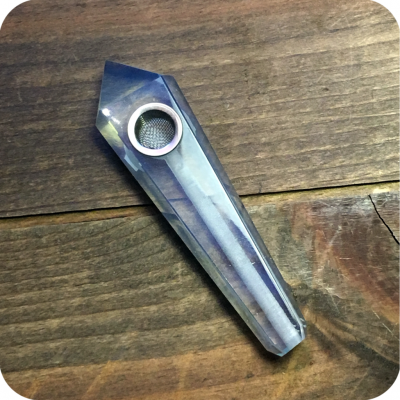 Keep it regularly cleaned by running a standard pipe cleaner through the mouthpiece and bowl piece and this pipe could last you a lifetime. Be sure to check out the many other types of crystal pipes we carry here at Sunflower, and do not forget to swing by either one of our two Brooklyn stores to see for yourself!